Montezuma Ghost Town, surrounded by the Front Range of the Rockies, is one of the most scenic spots in Colorado to reminiscent about the old mining days and take an outdoor adventure as well. At 10,200 ft., Montezuma boasts some of the most scenic terrain in Summit County. Step into the past on a tour of the original schoolhouse, general store and rustic cabins that line the dirt streets. Give the legs some exercise by exploring the backcountry on snowshoes, skis or a summer picnic. 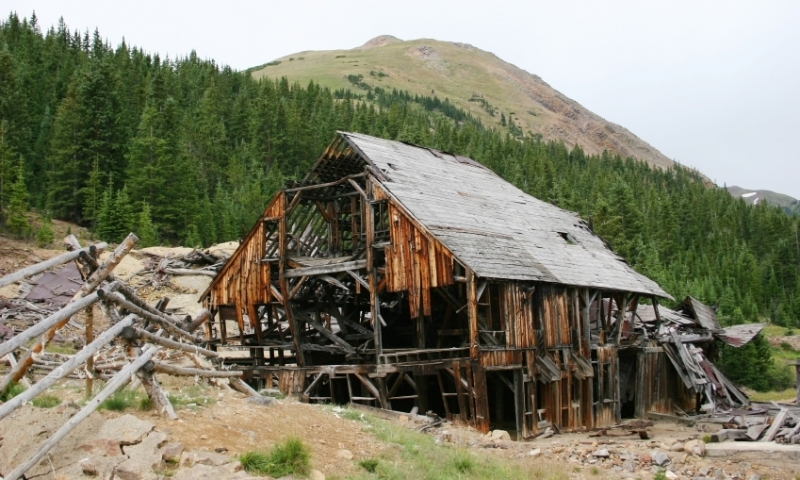 Founded in 1865 by prospectors mining silver from nearby Argentine Pass and incorporated in 1881, Montezuma may be included on many ghost town lists, but its current residents might disagree. The town boasts many old structures, including the original 1880s schoolhouse, the general store, and many old cabins that evoke a past world full of miners and prospectors. Today, Montezuma is often listed as one of the top scenic places in Colorado. Come and experience for yourself some of the best backcountry hiking, skiing, backpacking and snowshoeing in Summit County. Montezuma is located off Loveland Pass, which is CO-6. From Keystone, head east on Montezuma Rd., also known as CO Rd. 5. The town of Montezuma is a short 6 miles away. High season is summer and winter, but there are options for those adventurous visitors in the spring and fall as well. The area around Montezuma has a variety of terrain and routes great for either family outings or thrill seekers. Try Peru Creek, for example, which is on the left just a couple miles up the road. This road has great touring opportunities in the early part of the season. Travel further along the road, past the town of Montezuma, and park where the road ends in the winter. Check out Deer Creek, where backcountry skiers and snowshoers can enjoy large open meadows. Try to go earlier rather than later because trails tend to get busy with families. There are a variety of options for hikers around Montezuma. Try Radical Hill, an intermediate 6 mile hike gaining 1500 ft. in elevation. The views of the towering mountains will be worth the hike up and the high altitude lung workout. Make sure to take extra water and sunscreen. The trail head is 1.3 miles from Montezuma, heading up Webster Pass. Due to the small size of Montezuma and the increased number of visitors, please respect the parking and speed signs of the town. For recreational users, the only legal parking is at the Peru Creek trail head, .75 mi. north of Montezuma.